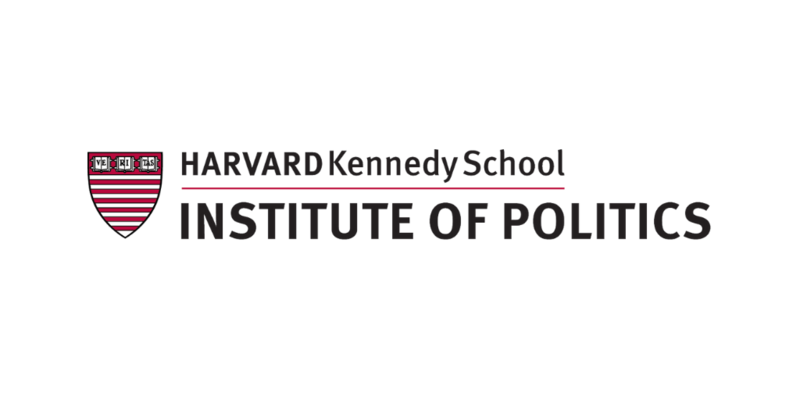 Since 2017, Harvard Institute of Politics’ polling of young Americans between the ages of 18 and 29 has strongly tracked a renewed interest in the importance and efficacy of political engagement, a growing level of dissatisfaction with Washington -- and in the 2018 midterm elections, as we projected, they clearly made their voices heard through the ballot boxes in House and Senate races from coast to coast. According to CIRCLE at Tufts University Tisch College, approximately 31 percent of youth (ages 18-29) turned out to vote in the 2018 midterms, an extraordinary increase over the CIRCLE estimate in 2014 and the highest rate of turnout in at least 25 years. In 2014, IOP estimates that approximately 10.8 million young Americans voted (Democrats preferred 54%-43%), compared to 14.7 million in 2018 (Democrats preferred 67%-32%). The actual number of Republican votes cast by those under 30 remained stable from 2014 to 2018, while nearly all of the nearly 4 million increase in turnout came from those supporting Democrats. Voters under 30 (estimated share of 13% of electorate) were credited by NBC News analysts as one of the key groups that led to a Democratic takeover of the House, along with African Americans (estimated share of 11%), Hispanic/Latino Americans (share 11%), and those with no religious preference (17%). Exit polls have indicated that voters under 30 preferred Democrats by a +31 margin, tracking closely with our final IOP poll conducted after the Kavanaugh hearings that indicated a Democratic preference of +34. For example, if the proportion of young voters on Tuesday mirrored traditional midterm youth turnout, districts such as TX-32 (incumbent House Rules Chair Rep. Pete Sessions lost by -6) and GA-06 (Newt Gingrich’s former seat, won with 2,145 vote margin by Democrat Lucy McBath) would likely not have flipped from Republican to Democratic control. In the Georgia race for Governor, Kemp led with both men and women (+6 for men and +1 for women); however, among voters under 30, Abrams led by +27, by +16 among 30-to-44 year olds, and lost those over 45 by +19. While we will not have a final tally of votes cast for several weeks, Edison Research has estimated as many as 113 million may have voted, and the United States Election Project has estimated a national turnout of 111.5 million which makes this the first midterm election that will surpass the 100 million vote mark. The Election Project projects a national turnout rate of 47.3 percent which equals the 1970 rate and trails the modern record of 48.7 percent from 1966. We are confident that the increased turnout rate among young Americans under 30 matched, and likely surpassed older age groups -- and will set modern records once tallies are finalized. A generation that has consistently told us in polling that they have more fear than hope about the future seem prepared to further engage in politics and policy (look for a more progressive domestic agenda and heightened demand for gun violence prevention legislation). We fully expect that they will play a significant role in shaping our country's future through their commitment to service and renewed interest in politics. On a national basis, young voters overwhelming preferred Democrats over Republicans in 2018. Both CNN’s and CBS’ exit poll analysis indicated a preference of 67 percent to 32 percent (+35) for Democrats; in Fox’s analysis the margin was 59 percent to 32 percent (+27). In 2014, the Democratic advantage was +11 and in the 2016 presidential, the Democratic advantage was +19. Age now accounts for one of the most significant divides in America; 35 percent of the electorate was estimated to be younger than 45 years old and they preferred Democrats, 61 to 36 percent (+25); among those 45 and older, Republicans were preferred by one percentage point. Women preferred Democrats +19, men preferred Republicans by +4. Among white voters, Republicans were preferred by +10, while Blacks (+81), Hispanics (+41), and Asians (+54) preferred Democrats. College graduates preferred Democrats by +13, while those without a college degree split evenly. White men preferred Republicans by +21, white women split evenly, 49 to 49 percent. With Democratic preference at 67 percent in exit polls, this is a marked improvement over the 55 percent of the vote that Hillary Clinton received according to 2016 exit polls and the 54 percent that Democrats received in the 2014 midterms. In a general election that has seen significant increases in participation across all demographic groups, it appears likely that young voters under 30 increased their participation at a higher rate than older voters. 11.3 percent in the 2010 midterm election. According to the CPS, the youth share has not exceeded 11.3 percent since 1994 when it reached 12.2 percent. As of midnight on November 7, exit poll analysis from CNN and ABC News reports that youth share of the electorate was 13 percent. It was noted by ABC that in 2014 they estimated the 18-to-29-year-old share to be 11 percent; CNN estimated the share in 2014 to be 13 percent. The Fox News Voter Analysis, an exit poll alternative survey of N=115 with 963 respondents, also reports a share of 13 percent. Based on analysis of Early and Absentee voting patterns by Democratic data firm TargetSmart, it was found that the share of voters under 30 who voted early increased by a higher percentage than any other age group in the electorate, from 5.39 percent in 2014 to 8.67 percent in 2018. This is a difference of more than 2.1 million additional votes. NextGen America published a list of 41 “youth-dense precincts” across the country to monitor over the course of Election Day. More than 50 percent of all registered voters in each of these “Youth Vote Indicator Precincts” were between the ages of 18 and 35. In 40 precincts that have comparable data from 2014, it was found that turnout increased on average from 24 percent to 45 percent. Turnout increased in 93 percent of the 40 precincts -- and in some cases, turnout eclipsed 60 percent, including in CA-49’s UC-San Diego precinct, FL-05’s Tallahassee/Florida A&M precinct, NH-02’s Hanover/Dartmouth College precinct, and PA-07’s East Stroudsburg University precinct.